Dri Fit T Shirt Printing Singapore | Custom Dri Fit T Shirt | Low MOQ! Dri Fit T shirt printing in Singapore, available in wide range of drifit t shirt color choice and able to print any design. Our dri fit t shirt is made of quick dry and microfibre eyelet design material which designed to keep you comfortably dry and cool. We have different print method that suit your design, for instant a simple 1 to 2 colors design can be printed with silksreen printing, while a full color design can be printing with direct to garment (DTG) printing or heat transfer printing. Do check out our other options for t shirt printing too such as polo t-shirt, dri fit polo t shirt and cotton tshirt. Our dri fit t shirt can be customised with low MOQ of 10pc only! For express drifit t shirt order, we can get the drifit t shirt printed in as fast as 3 working days! Contact us for quick quote now! 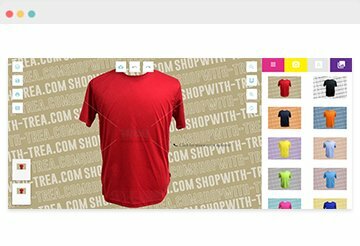 From basic colors to different t shirt design variations and color combinations, TREA’s Dri Fit T Shirt selection has got it all. Engineered for utmost comfortability and functionality, these Dri Fit T Shirts are excellent to be printed and worn in our sunny island. They are ideal for corporate team outings, school excursions, company organised outdoor activities and public campaigns. Feel the difference when you put on any one of our Dri Fit T Shirts. Your satisfaction is guaranteed at TREA, where the promise of high quality t shirt printing is always kept. Cool fit technology on this 100% microfiber t shirt allows you to stay dry and cool in high temperature weather. 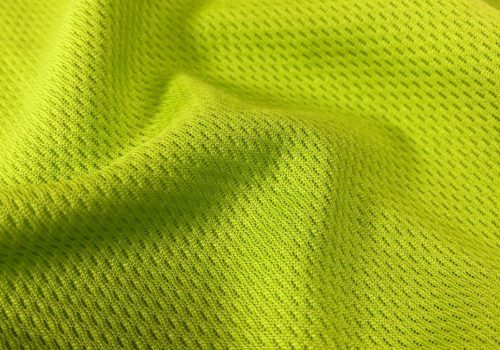 When it comes to athletic wear, Microfiber tops the popularity chart due to its unique characteristics. It is lightweight, elastic, durable and has water repelling abilities. These qualities make it the most fitting for outdoor games and activities. The 100% microfiber material comes in 2 different knit designs, the jersey knit and the eyelet knit. Jersey knit dri fit t shirts are soft, durable and has draping properties due to the interlooping of the yarn that passes over itself repeatedly. The eyelet knit design shares the same qualities. However, there is more breathability in this particular fabric due to small holes patterned throughout the fabric. 100% polyester interlock is highly resistant to staining and similar to 100% microfiber t shirts, it does not shrink or wrinkle. Polyester dri fit t shirts are knitted differently and weigh heavier even though it has a smooth fabric texture. They are flexible and have high shape retention while its absorbing feature makes it the prefered attire choice for high density sports. The added flexibility on a polyester t shirt brings out the best performances in sportsmen with less restrictions to their movement. Pique refers to a weaving technique that is characterised by fine ribbing or raised parallel cords which gives the material a subtle texture and pattern. Depending on the manufacturing process, the patterns may differ. Some of them come in a cord structure while others come in waffle or honeymoon structures. 100% Performance Dry Pique t shirt is versatile and has many qualities. It is comfortable, durable and easy to take care of. Above all else, it is very breathable which allow its wearers to stay cool. These are ideal for long duration sporting activities such as marathons as the textured weave does a great job at hiding perspiration stains. Heather refers to the interwoven yarns of mixed colours producing an alternate colour. It uses mix multiples of either white or black threads with another colour to produce a different shade of the intended colour. The 100% Performance Heather Blend t shirt is lightweight and super soft. The subtle heather texture helps in elevating any print that is printed on the t shirt. Baring similar qualities with the 100% Performance Dry Pique material, the Dri Fit Heather Blend T Shirt is made for long duration sporting activities as it keeps you dry and cool in the whole time that you’re exercising.